Our jaws play a crucial role in our lives, they help us in communicating with others as well doing the obvious for survival; eating. Maneuvering these movements is the chewing muscle also known as Masseter. It is known to be the strongest muscle in the body due to its weight. Fun fact about the masseter muscle is that it teams up with the surrounding muscles to perform the act of opening and closing the mouth. The force of this particular movement is as great as 25 kilograms on the incisors and 90 kilograms on the molars. As you see your jaw isn’t meant to stay petite and pretty. Overtime as the muscle keep repeating the same function over and over again, your jaw will start to take a more broadened appearance. Hence, leaving most women insecure about their jaw. That’s where our age savior ‘Botox’ comes into place, also commonly known as the wrinkle reducer. Botox which does a lot more than just age control is increasingly becoming popular in the enhancement of your jawline through carefully administered treatment by an expert. In the right hands, you’ll be able to achieve a more defined and slimmer jawline. Botox will first get the muscles in the area to relax. This will cause the muscles to lose the bulkiness easily and quickly. In a few days, a smaller and slimmed down face can be seen as a result. Your facial muscles will be relaxed for a couple months; and the results last up to 6-8 months. 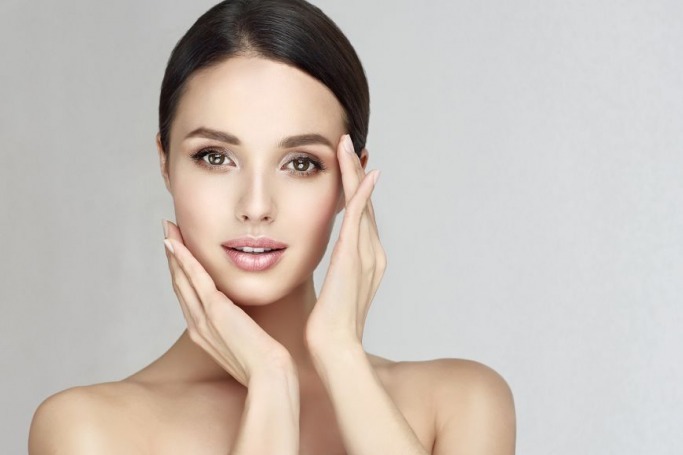 Facial Contouring is now considered one of the most sought after aesthetic treatments around the world, as the treatment is highly effective in slimming down a square jawline or plump cheeks. Resulting in a contoured V or Oval shape and also has a slimmer profile for a more youthful look. Another result of the Botox is rejuvenated and revitalized skin. Most women after a certain age may start suffering from rings around their necks, which is seldom a pretty sight. But what causes them? Age being the obvious answer. Our Y-zone skin (jawline & down the neck), is relatively thinner and more delicate than our facial skin. The Y-Zone consists of less fat support and fewer oil glands as opposed to your facial skin hence being more prone to the effect of aging and lifestyle choices. Originating at the base of our neck are two strips of muscle known as ‘Platysmal bands’, they go all the way up to our jaw and long the front left and right sides of our neck. These are used when we grimace, clench our teeth or if any sort of stress is placed in our neck region. These muscles react to the expressions we regularly make while we express ourselves or whilst working out, especially if we lift weights or do any kind of resistance training. Another major culprit of neck lines are the hours we spend looking down on our phone. In addition to getting a ‘tech neck’, stiffness and soreness, one can also develop deep lines in the neck area as the muscles cause folds on the delicate skin. To stop these lines in their tracks, Botox is a smart and effective choice. It aids in relaxing the complex system of the elevator and depressor muscles in the area, and the most visible one, the vertical (platysma) muscles, which leave a mark as they stretch. Known world over as the Nefertiti Neck technique of administering Botox strategically along the lower jawline and down the side of the neck along the platysma muscle gives impressive results. If you’re looking for a sharper, slimmer jawline and a smoother neck, get in touch with experts at Kaya Skin Clinic today or press ‘Click to Contact’ to submit your inquiries.